The Danish agency Samson Travel welcomed visitors to its new premises at Aalborg Airport yesterday, which will now serve as its new head office. Samson was founded in Frederikshavn in 2000 and has offices both there and Odense – in addition to the new headquarters at Aalborg Airport. 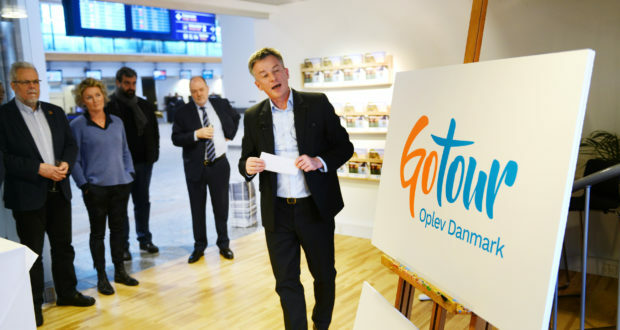 The largely outbound specialist won a public tender to strengthen incoming tourism in northern Denmark and decided Aalborg Airport was the best location to set up in, as this is the point where many visitors to northern Jutland start their trip. At the meeting Søren Svendsen, director of Aalborg Airport, emphasised the importance of being able to offer ready-made packages and products as soon as visitors arrive. “We do not have a Legoland or Little Mermaid to point them to, so it is important that there are organised packages and products for our guests, be it experiences, gastronomy or journeys to the coast,” he said. Experiences are another area Samson Travel is now considerably expanding in. It recently took over the platform Gotour.dk from the northern Jutland IT company Combine. Samson Travel describes Gotour as a digital engine with “an attractive range of large and small experiences for guests, which can easily be found and booked via many different digital information and sales channels as well as physical sales outlets”. Gotour is also offered to other tour operators so that products can be packaged together with their own offers of, say, transport and accommodation. “This platform can cover far more than northern Jutland, and we also think that Aalborg can be the starting point for experiences in southern Norway or western Sweden,” Pedersen elaborates to Standby.dk. Samson Travel is in the process of further developing products with experiences. The agency has recruited a former director of VisitDenmark, Dorte Kiilerich, to help work on Gotours Planners & Guides.